"I found God within myself and I loved her, I loved her fiercely." To celebrate the latest edition of Lyra, our resident illuminator Greg Spalenka, has created a new image. Although the other image is stunning, one of my personal favorites, she is just not quite the right mood for the delightful dance of floral confection. The inspiration for Lyra began with a custom perfume created for my daughter Eve (Evangeline). Since I do not replicate custom perfume formulas, I swapped out some essences in the top, middle and base and added new ones. The tropical headiness of this perfume lies in the melding of Jasmine and Ylang Ylang at the heart. Both these essences are associated with femininity and sensuality. In fact, in aromatherapy circles these essences are considered relaxing, euphoric and strong aphrodisiacs. The word aphrodisiac comes from the name of the Greek Goddess of love and beauty, Aphrodite. The word stressed spelled backwards is desserts. The sensuous, floral fragrance is reminiscent of Stargazer lilies. Built upon an amber accord, the exotic sweetness of the Jasmine Ylang Ylang heart is lifted with heady citrus notes. The perfume is euphoric and playful uniting us with the delectable sweetness of pure joy. There are twenty different essential oils, absolutes and C02 extractions in this perfume. Main notes are: Citrus, Jasmine, Ylang Ylang and Amber. 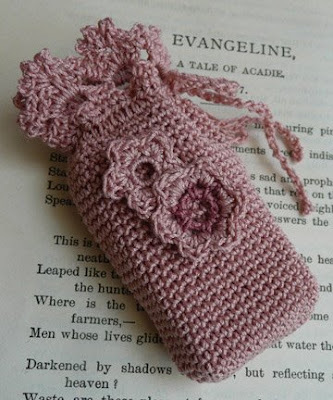 The liquid perfume is available in a quarter ounce stopper bottle from France, which arrives in it's own couture, hand crochet pouch. Lyra Image ©Greg Spalenka, other images are old engravings which Roxana has modified and placed onto parchment, and a photo of our Lyra couture pouch ©Roxana Villa. Greg's new image is stunning! Also, the crochet pouch is adorable. 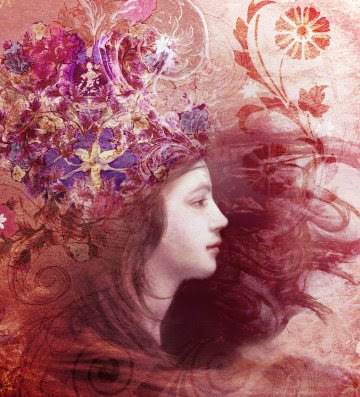 Thank you Saorise, I think the new LYRA image is stunning too, much more evocative of the actual perfume.